We've said it once and we'll say it again: get over those tight-fitting clothes! What is it about loose clothing that we love so much? Well, aside from the comfort and ease, they also hide certain areas we try to conceal from the public eye. With the latest boom of Hollywood pregnancies, now seems like a good time to hop on the anti-fit bandwagon and sport movable pieces for the daily grind. Here we give you a work week’s worth of outfits that will have you feeling loosey-goosey for all your activities. Scroll down and let’s get started. Start the week with a monochromatic outfit that allows you to move freely as you tick things off your daily checklist. Never mind that it’s a sweater-and-sweats combo. As long as you choose pieces in interesting cuts and shapes, then surely you’ll get a free pass from looking like you just hit the gym. Girly doesn’t always have to mean tight-fitting, you know. 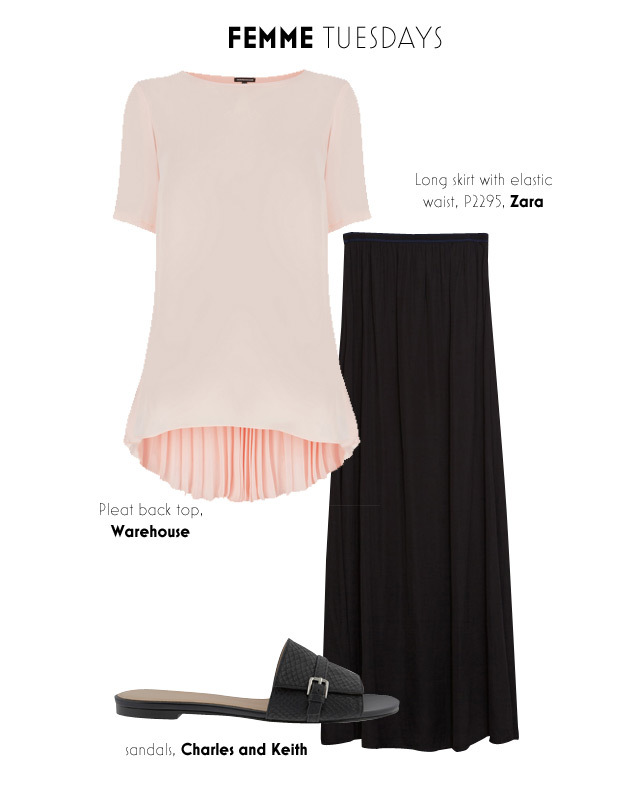 You can be just as feminine in a billowy pastel top paired with a flowy, floor-grazing skirt that lends drama to a boring Tuesday at the office. Layering is more than acceptable for battling mid-week blues especially with the unpredictable weather we’re having lately. An interesting cover up over a loose fitting shirt that peeps through is a great way to stay warm in this sweater weather. Either way, if it gets too hot you can always just take it off, yeah? Loose doesn’t necessarily mean slouchy. You can still opt for tailored pieces like a pair of culottes and a triangle-shaped button-down for days when you feel like your wardrobe needs structure. 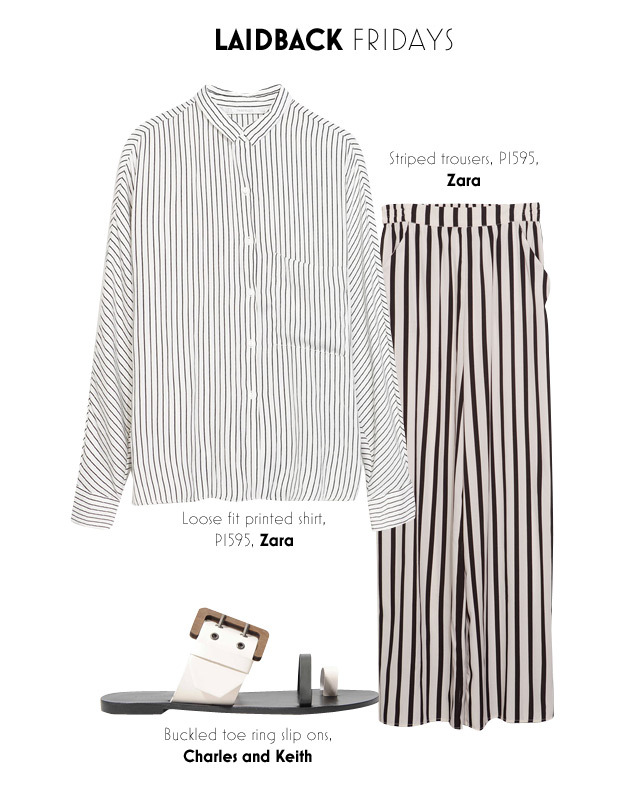 And finally, ease into the weekend with a matching set of wide leg trousers and a soft button-down paired with a dressy sandal for that luxe lounge feel.